The Fox Predator Fighting knife is a capable fixed blade knife, sturdy in hand while being nimble and agile. 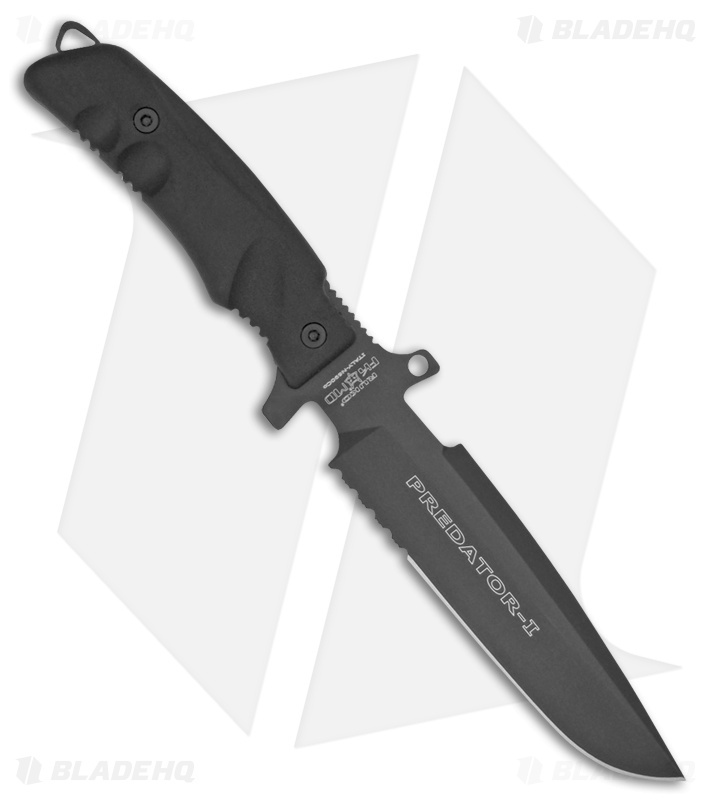 Made of Bohler N690CO stainless steel, the Predator fighting knife is extremely tough, corrosion resistant and easy to sharpen. Durable black forprene handles resist cracking, chipping or warping, comfortable in hand while providing an excellent grip. Integrated finger guards allow for lashing to a pole or stick to be used a spear. Include black nylon sheath with leg strap.